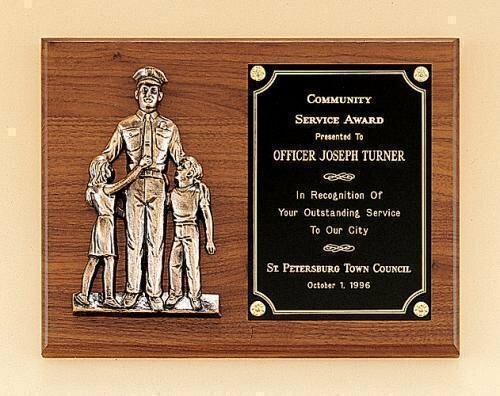 Fireman Plaques and Police Plaques honor the men and women who serve and protect our local communities. Award Plaques come in a variety of styles from traditional wood plaques to rosewood wall plaques. We have a wide selection of business awards. FREE Shipping on orders over $100. FREE Engraving.